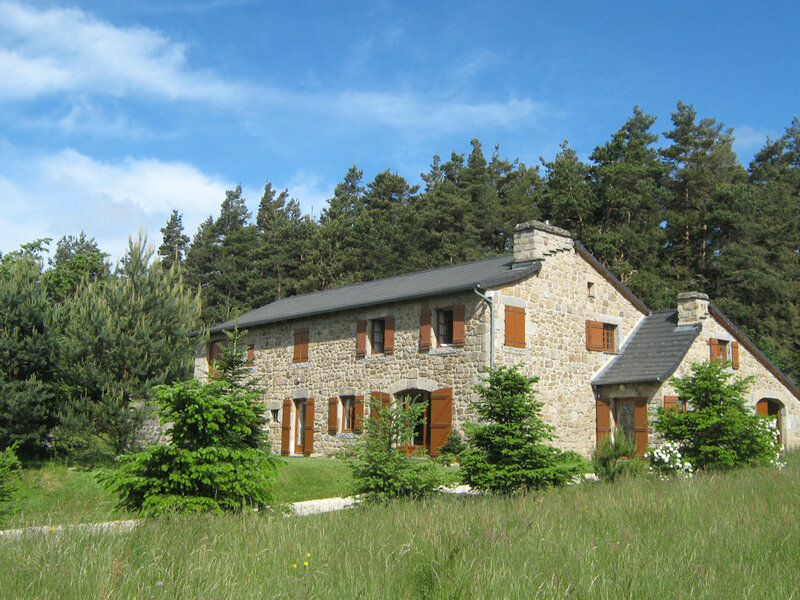 Beautiful house *** 265 m² very comfortable facing south, backed by the pine forest of Crouzilhac (picking mushrooms, blueberries, starting many hiking, putting golf 1 km). At 950 m altitude, very quiet environment. 1h30 from Lyon and Valence. Beautiful volumes of living rooms. Well equipped independent kitchen. 5 burner stove. Heating fuel / Wood available for the fireplace. Foosball and games for children. At the start of many hikes (on the way to Saint-Régis). For a time of renewal, of fresh air, in a very well maintained house (household and comfort) and where each one can benefit from an interior space of intimacy. Tourist village of Tence, typical with its slate roofs (1.5 km): many shops, tourist office, heated swimming pool in summer, river trout and swimming, cinema.